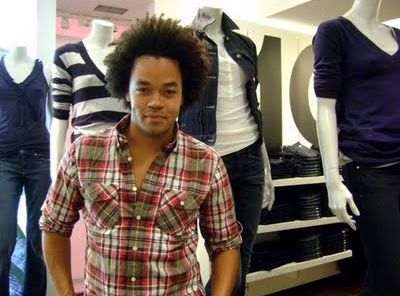 Last Friday the news broke that Gap had fired head adultwear designer, Patrick Robinson. Hired in 2007 to reinvigorate the brand, there's been a marked decrease in Fasshonaburu posts featuring Gap items since then! And it hasn't just been me, sales have been as lackluster as the generic clothes on its racks! The well-known retailer hasn't found a successor for Robinson, and the head designer for children's clothing will take his place in the meantime. It's kinda sad to think about, as Robinson was previously quite triumphant at Armani and was named one of Vogue's 100 rising stars in 1996. I'd hate to think of other acclaimed designers like Thakoon or the like fading out like this. But I'm excited to see where Gap goes to next, hopefully it will have a touch more zing!